DANIA BEACH, Fla. USA, (September 15, 2009) --- Documentation for a much talked about 22 lb 4 oz largemouth bass, caught from Japan’s largest lake in July, has arrived into the International Game Fish Association (IGFA) headquarters for world record recognition. 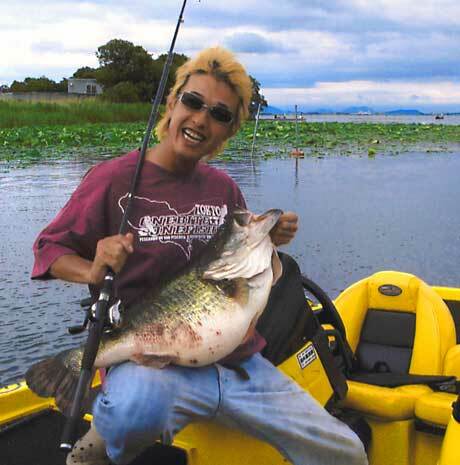 Late Monday, the IGFA, the 70-year old non-profit fisheries conservation, education and record-keeping body, received the application for the largemouth bass (Micropterus salmoides), caught July 2, by Manabu Kurita, 32, of Aichi, Japan. IGFA rules for fish caught outside the U.S. allows anglers 90 days to submit their applications from the date of their catch. Schratwieser said the application stated the bass weighed 10.12 kg (22 lbs 4 ozs) and was pulled from Lake Biwa an ancient reservoir northeast of Kyoto. Photos and video were also submitted with the written documentation. Nice post. I really liked it. Don’t forget to update it regularly. I am looking for new updates dying to read more stuff from you.